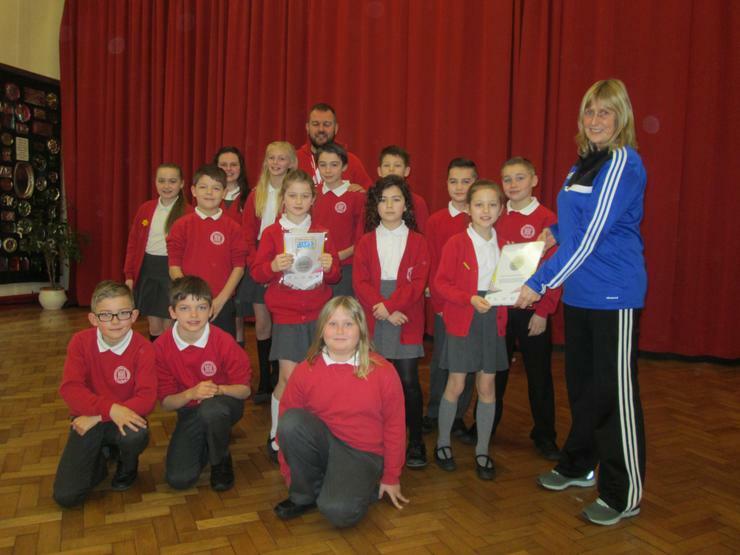 During star assembly on Friday 13th February we were visited by Mrs Hart of the West Lancs School Sports Partnership to award us with the School Games Silver Mark Award. This is a national award and we are one of only a few local schools to achieve it. We received the award for providing children with two hours of physical education and school sport per week, engaging children in extracurricular sporting activity, providing the opportunity to take part in the appropriate level of competition including inter-school competition, utilising sports coaches to support school sport and having active links with at least three local sports clubs.